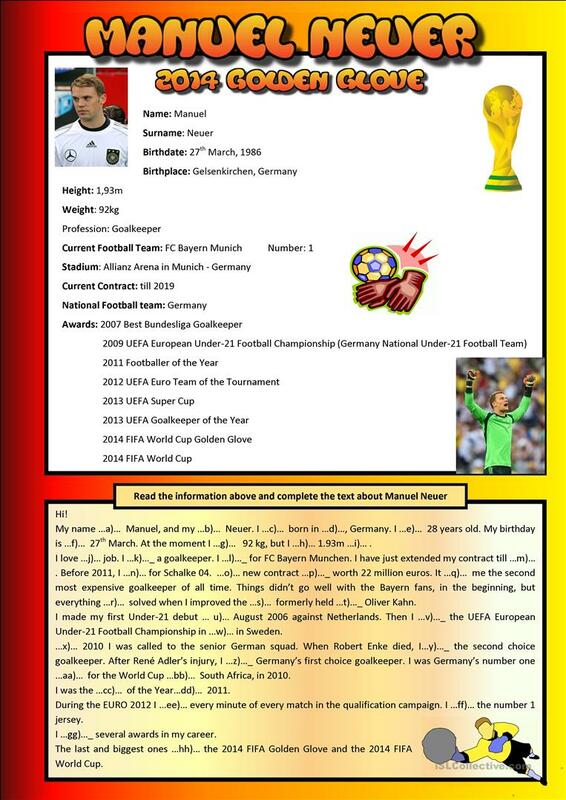 A reading comprehension gap-filling activity about Manuel Neuer. The present downloadable printable is meant for high school students at Elementary (A1), Pre-intermediate (A2) and Intermediate (B1) level. 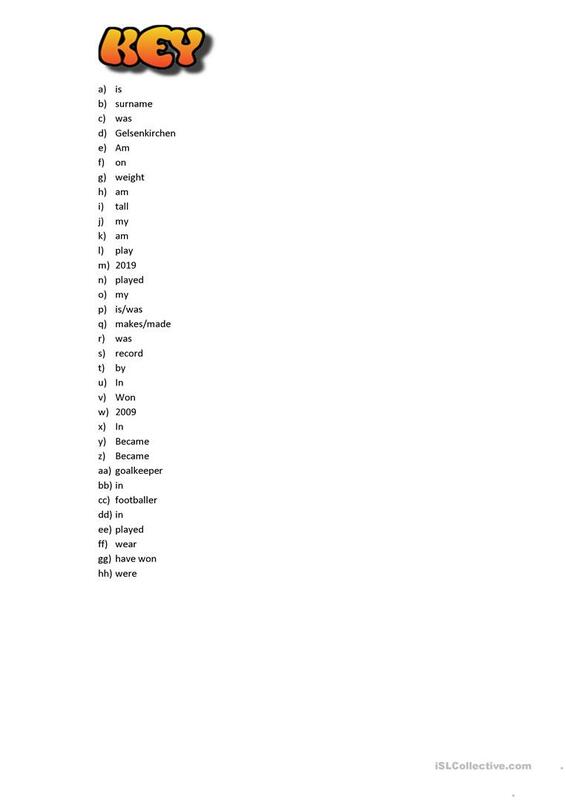 It centers around the topic and words of Describing people. The solutions are provided, too.